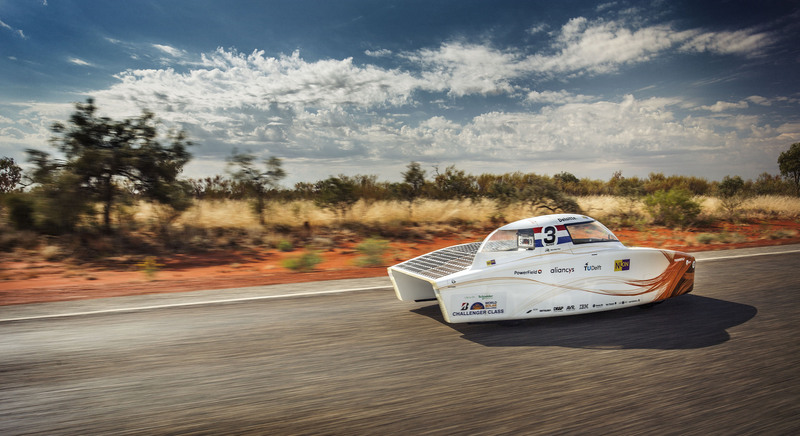 The Vattenfall (previously: Nuon) Solar Team has won the World Solar Challenge in Australia no fewer than seven times over the last nine years. V.O. helps the student team from Delft University of Technology in a number of ways with intellectual property. In the Bridgestone World Solar Challenge, cars drive south from Darwin to Adelaide, which is some 3,000 kilometres away, by using solar energy. 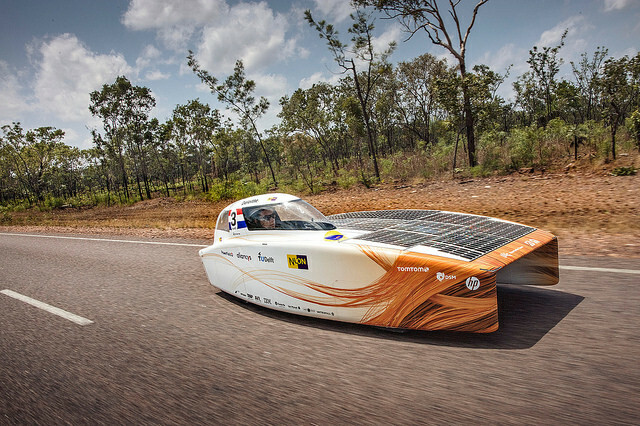 There are three classes that together represent the diversity of solar vehicles and various design philosophies. The aim of the biannual design competition is to inspire young people throughout the world to contribute towards sustainable transport in the future. In the years that the Bridgestone World Solar Challenge is not organised, the Sasol Solar Challenge takes place in South Africa. 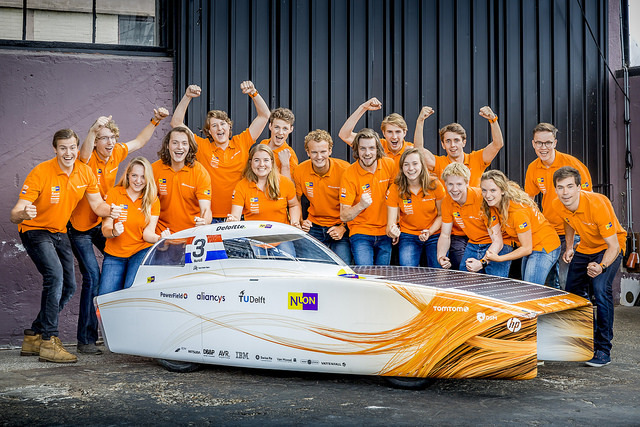 Vattenfall Solar Team’s solar car is redesigned every two years and built by hand. This means that the students from Delft University of Technology are continuously innovating. They work with the latest technologies and materials and therefore get an overview of cars of the future. By participating in the competitions in Australia and South Africa they investment in both their personal development and making transport more sustainable. V.O. has been a sponsor of the Vattenfall Solar Team since 2015. We make the team aware of the value of their innovations and show how the team can make these most profitable. Intellectual property can offer possibilities, for instance, to secure new sources of funding. We also support them with drawing up clear agreements with partners which contributes to a good and professional relationship. By sponsoring the team, we are supporting sustainable technology and investing in young and enthusiastic students. In October 2017, Vattenfall Solar Team took part in the Bridgestone World Solar Challenge for the ninth time. Sixteen students from various faculties of Delft University of Technology achieved first place through a combination of design, strategy and teamwork. They covered the distance between Darwin and Adelaide in four days and six hours. 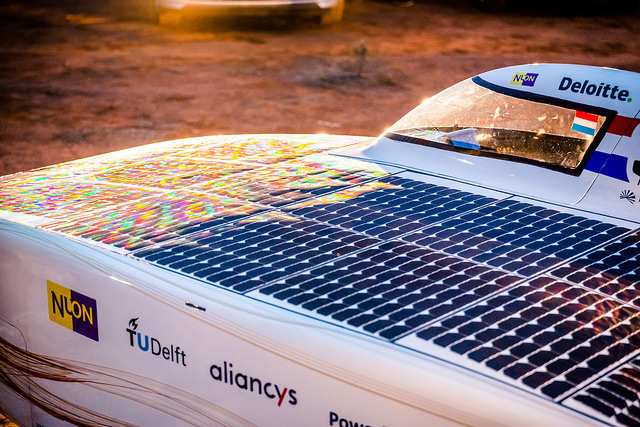 The Sasol Solar Challenge was held again in South Africa in 2018, and won by Vattenfall Solar Team. The Bridgestone World Solar Challenge will be held next in 2019.